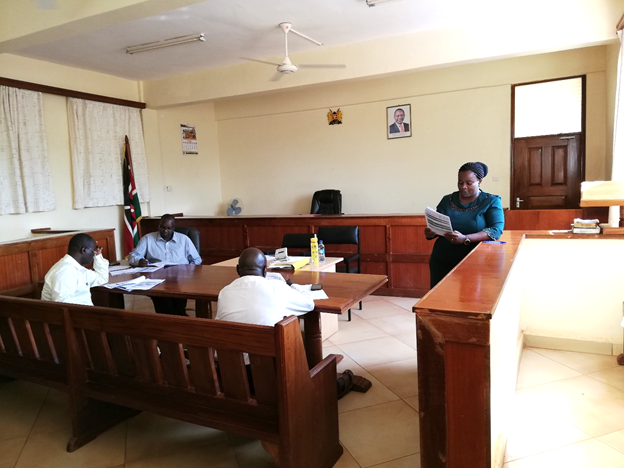 Busia Law Courts staff met to discuss ways of improving service delivery at the station on November 8, 2018. The meeting attended by judicial officers and staff deliberated on how to improve their 2018/2019 Performance Management and Measurement Understanding (PMMU). The deliberations go a long way to enhance access to justice, speedy disposal of cases as well as the use of new case management system. This is in line with the service delivery agenda and the signed 2018/2019 PMMU targets. Speaking at the meeting, Hon. Martha Nanzushi Senior Resident Magistrate (Deputy Registrar) said there was need to fast-track cases in order to reduce the number of days remandees spent in custody, as negotiated in the 2018/2019 PMMU targets. She said new case management system in use at the station has led to improved file management. She expressed the need to train other officers so that they can make use of the innovation. “Data entry from mobile courts however still poses challenges. Training the staff internally on case management system will greatly improve their skills,” Hon Nanzushi said. Chief Magistrate William Chepseba commended staff for their co-operation and hard work in previous PMMUs and called on them to double their efforts to achieve better results in the 2018/2019 PMMU targets. Senior Resident Magistrate Martha Nanzushi take staff through the signed 2018/2019 PMMU agreed targets. 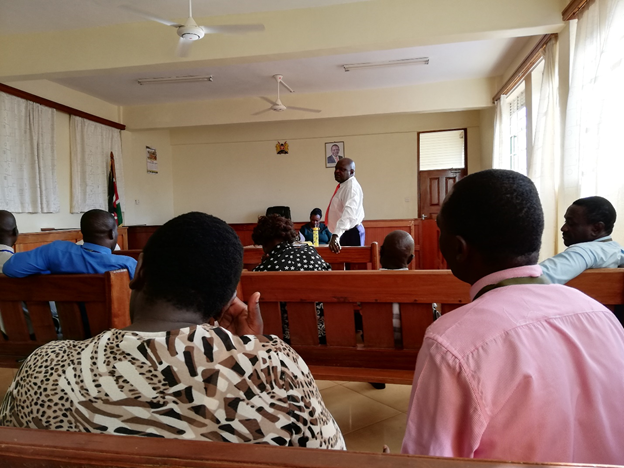 Busia Law Courts Executive Officer Mr. Dismas Opili addresses court officials on performance during the PMMU staff meeting. 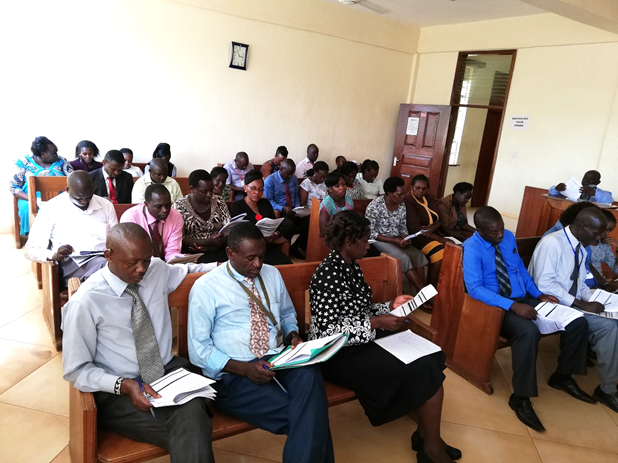 Officers peruse the 2018/2019 PMMU document during the staff meeting held at Busia Law Courts.